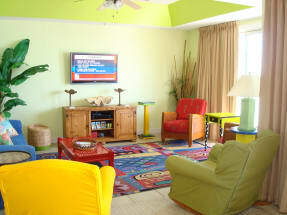 Welcome to Empress Vacation Rental Condominiums! Sitting right off the coast of Destin, this gorgeous complex gives you some of the most amazing views you'll ever have the pleasure of enjoying. Empress offers you balcony views, a convenient location, and a community pool and hot tub along with its own pier to the beach. While you stay here, the possibilities are endless, you can spend your time relaxing by just hanging out in the condo, on the beach, or getting a massage/spa treatment at a local spa! Looking for fun instead of relaxation Big Kahuna's Water Park is a great local place for everyone to have fun, with the variety of pools, rides and slides you can't have a bad time here! Another great place to check out is Henderson State Park, some of the best scenery you'll ever see in Destin, and private beaches for you to enjoy. Now, other than the activities you'll be offered, the food! Destin is known for serving amazing seafood all throughout the area, and it certainly lives up to the expectations. Some great places to try, Pompano Joe's, Dewey Destin's Seafood and Restaurant, McGuire's Irish Pub, and the Back Porch! All of these places sit along the coast, so you can enjoy delicious meals while overlooking the beachfront! 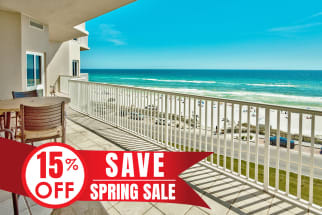 When you want to go on vacation to Empress in Scenic Gulf Drive Central East, go with Emerald Coast by Owner for the best rentals in the area! When you book with Emerald Coast by Owner, we make it easy for you to choose where, when, and what you want to do on your trip. Contact the property owners directly with any questions and be sure to book online today!